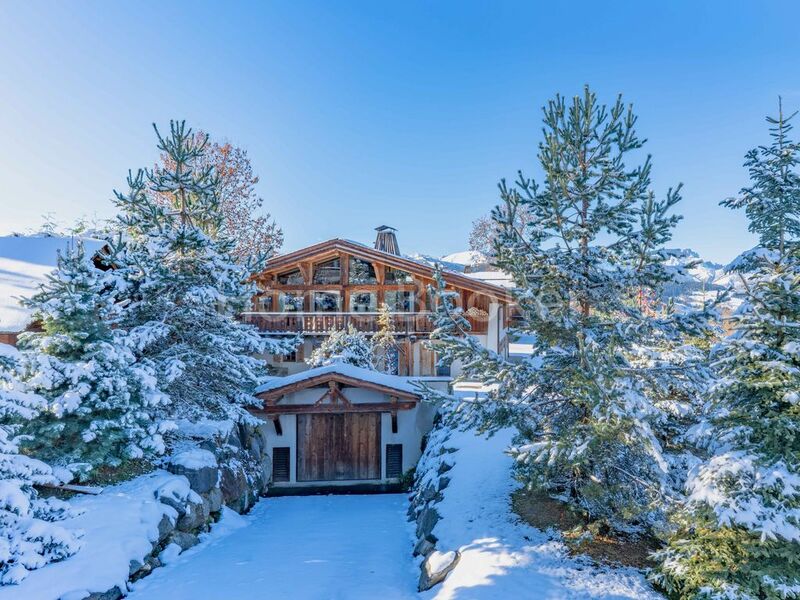 This exceptional property consisting of chalet Flocon completely renovated and the sumptuous Neige chalet offers 1500 m2 of living space. Built in the tradition of the old farms of the Alps, completely renovated in old wood, the property offers the possibility of renting the cottages separately or together to share privileged moments with your loved ones in an extraordinary setting of softness and beauty. Chalet Flocon is a prestige property to discover without delay. The property consists of 7 rooms all in suites, as well as a service studio. From the spacious living room, fireplace and double lounge, you can enjoy a beautiful and bright view of our mountains and their snow coats. The chalet snow a luxury chalet rental which is at the foot of the Mont d'Arbois massif meeting precious and pleasant amenities to fill your stay of moments of well-being, indeed, the chalet Neige declines an old wooden structure , an extremely friendly lounge with a central fireplace. At the same level is the master bedroom with bathroom, dressing room and office, then on the lower floor are 5 double bedrooms with bathroom, a cinema room and a ski room. You will be able to enjoy the indoor Spa with steams and jacuzzis that will allow you to conclude your days gently. Would not this luxury alpine farmhouse be your dream destination?